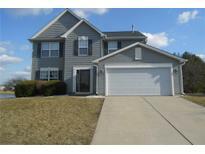 Willow Pointe - Only 10 Miles From Indianapolis International Airport MLS#21628171. Berkshire Hathaway Home. Glen Haven - Enjoy all that Plainfield has to offer, Parks & Trails, Aqua Center w/Splash Island, The Shops at Perry Crossing, Sodalis Nature Park + much more! MLS#21627479. Carpenter, REALTORS®. Fairfield Woods - BUT WAIT until you see the backyard with a screened in porch & custom patio overlooking the pond and huge backyard lined with trees making the backyard very private and serene! MLS#21627929. The Stewart Home Group. Broadmoor Man - Buyers will enjoy large screened in back porch and fenced yard. MLS#21627984. RE/MAX Centerstone. Meadows At Sugar Grove - Located in Meadows of Sugar Grove, with neighborhood pool, park and more. See today! MLS#21627439. RE/MAX Centerstone. The large yard (.58 acres) includes a patio deck, beautiful landscaping, mini-barn and a firepit. 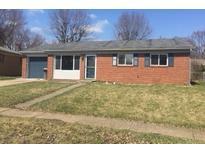 MLS#21626933. CrestPoint Real Estate. The Settlement - 9 Feet Ceilings, attractive Hardwood flooring in the living areas, stainless steel appliances, private patio and back yard and a great location with many neighborhood amenities! MLS#21626823. F.C. Tucker Company. Hardins Creekside Estates - Light and bright with a spacious cathedral ceiling in the Great Room. MLS#21627024. Bell Realty Group. Glen Haven - Shelving in garage and storage cabinet stay! MLS#21619871. Keller Williams Indy Metro NE. Williamsburg In The Woods - Convenient location to shopping, dining, entertainment, I-70, and all that Avon AND Plainfield have to offer. Hurry in! MLS#21626238. CrestPoint Real Estate. The Settlement - Backyard also has invisible fence installed, leaving property open to walking trails. MLS#21623869. White Stag Realty, LLC. Williamsburg In The Woods - This home is a must see! MLS#21626005. F.C. Tucker Company. Brentwood Heights - Large fenced-in back yard - room for entertaining with covered patio area and open patio for grilling. MLS#21623726. Arsenault Group Realty, Inc.. This home is in a large corner lot and private fence on the backyard, ideal for enjoying the outdoors and entertaining. Plenty of space for parking! MLS#21623515. CENTURY 21 Scheetz. Meadows At Sugar Grove - Come see this home, you will not be disappointed! MLS#21623952. RE/MAX Ability Plus. Bring your things, relax and enjoy this park-like setting! MLS#21622811. F.C. Tucker Company. 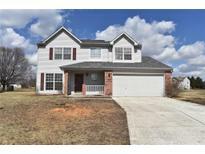 Glen Haven - Close to interstates, shopping, schools, and much more! MLS#21623088. HIVE Realty Group. Mar Rae Acres - Close to Plainfield or Avon for shopping. MLS#21623809. Pritchett Property Group LLC. Broadmoor Man - Seller providing buyer one year home warranty for extra peace of mind. MLS#21623010. F.C. Tucker Company.